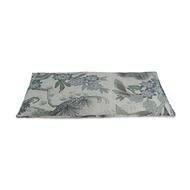 This wonderful Lavender Travel Pillow, containing buckwheat shells, flax seeds, chamomile flowers and lavender buds, will fit comfortably in the small of your back, adjusting to the curve of your body and supporting your back as you sit. The lavender and chamomile, with their fragrant, therapeutic scents, will go to work providing you with hours of aromatherapy! 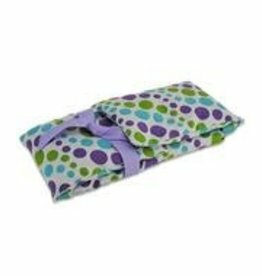 So if travel - whether by car or plane - has become unpleasant due to back discomfort, relax and get comfortable with our Lavender Travel Pillow. But you don't have to go on a trip to enjoy this aromatic pillow. If you feel your back getting a little tired and achy as you sit at your desk, just tuck this pillow in behind your back and feel the relief. And if you are at home, you can enhance this pillow's therapeutic value by microwaving it for 30 seconds or refrigerating it. 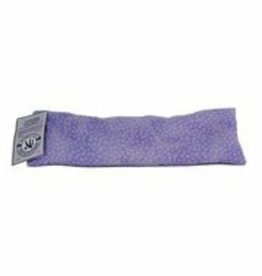 If you like our Lavender Travel Pillow, you will also like our Lavender Neck Wrap and our Lavender Eye Pillow, so check those out. These three items are all handmade in our workshops in Door County. This pure lavender essential oil has a sweet, slightly floral/herbal aroma our customers love. Discover for yourself the many uses of this essential oil. 0 .5 fl. oz. This aromatic Lavender Neck Wrap, filled with flax seeds, buckwheat shells, chamomile flowers and lavender buds is just what you need for your aching neck! Need to manage stress or ease a headache or tired eyes? 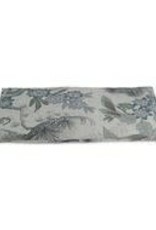 Relax with this aromatic eye pillow filled with all-natural flax seeds and dried lavender buds.